The Osteria di Poneta in Colognole restaurant, located in the in the centre of the borgo, is another fruit of the restructuring of an ancient farm residence that had been used by a family of farmers up to the early 1990s. Offering the classic dishes of the Tuscan tradition, the restaurant has become a benchmark of quality not only for guests of Colognole but for fine-cuisine aficionados in the Val di Sieve as well, in the Mugello and the city of Florence. From its terrace, diners enjoy a magnificent view out over the Val di Sieve, and on crisp, clear evenings, as far as the Chianti mountains. 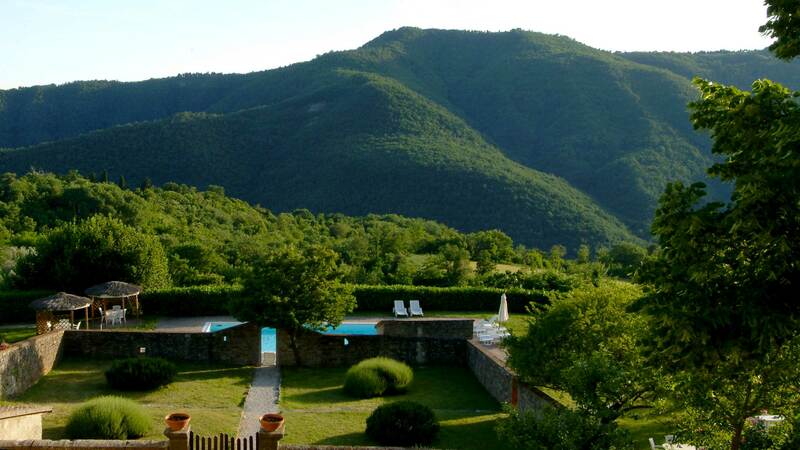 Tuscan specialties, grilled meats, fresh pasta, homemade desserts, cured meats and cheeses. The Osterie di Poneta offer a Tuscan menu, with a selection of top quality ingredients of peasant origin or linked to the territory. Fresh and artisanal pasta is accompanied by traditional Tuscan meat and game sauces, traditional soups, second courses of Florentine tradition and, of course, the Florentine Steak, all accompanied by the flavors of the past, such as the Grandma's recipes. The wine list offers wines from the historic Colognole Winery, inside which Osteria is located, expanded by the wines of other important companies in the Chianti Rufina area, in order to live a complete food and wine experience of the area. It is possible to buy all the gastronomy products selected by us to give our customers the opportunity to bring a part of the food and wine experience to their home. The restaurant is open every day except on Tuesdays for lunch from 12:00 to 14:30 and for dinner from 18:30 to 23:00.